The Ballarat Canoe Club is located directly on the foreshore of Lake Wendouree. 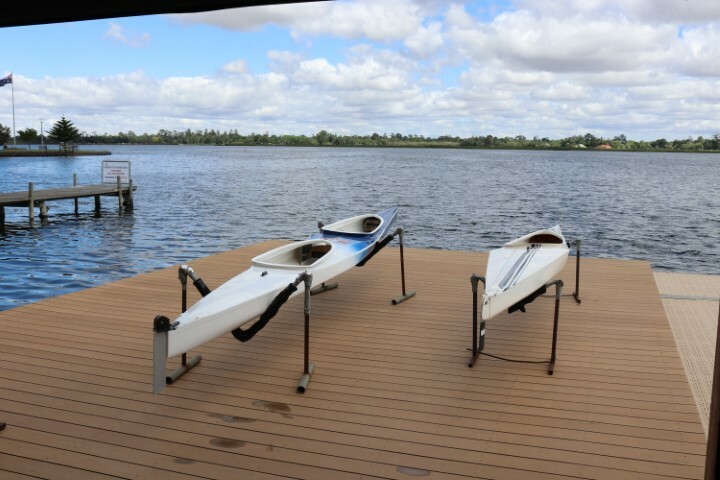 A pontoon is located at water level to provide easy access for all members to launch a boat on the water. 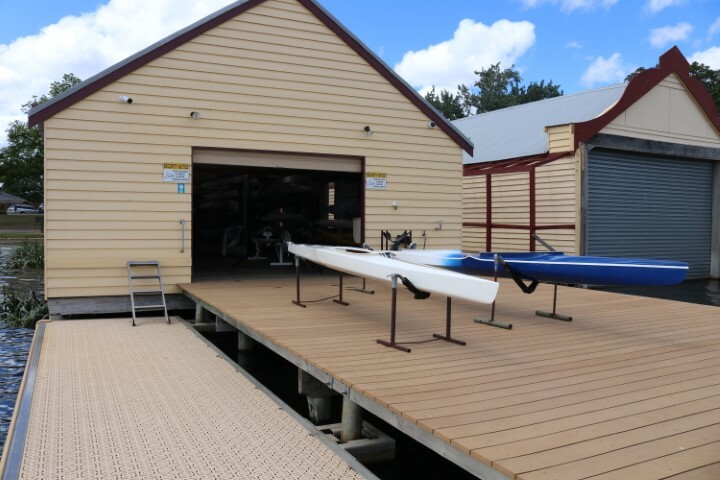 Being a member of the club, you have access to a range of club facilities to use for recreational, fitness or race training. 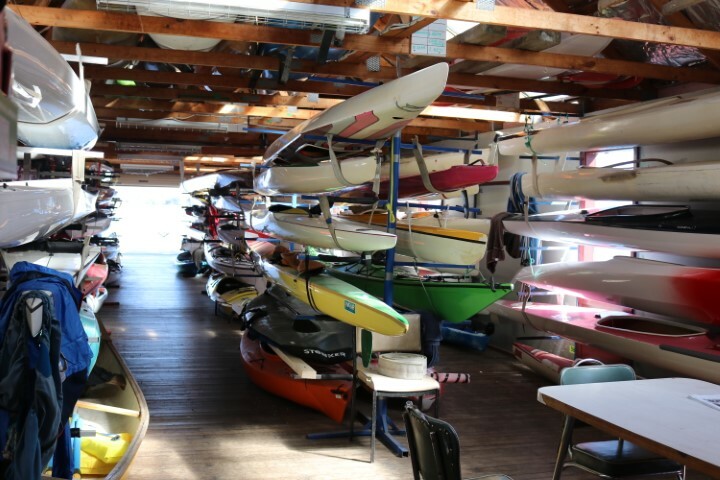 The canoe club has a large number of boat racks to hold private and club boats. Providing availability they can hired for a year at $50. 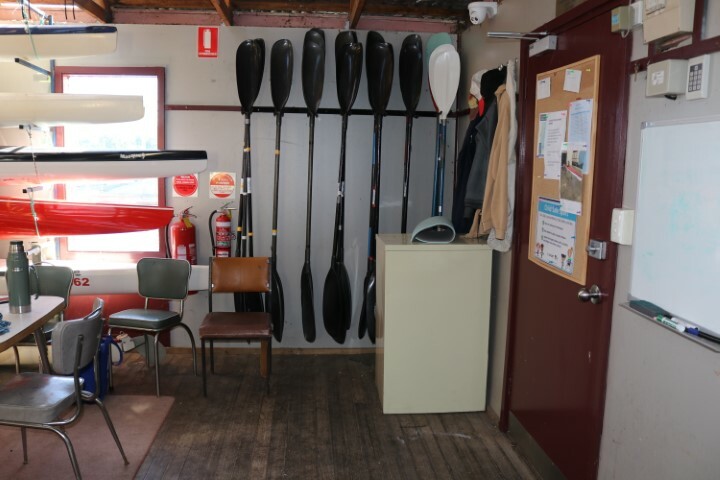 The canoe club has tea and coffee making facilities for all to enjoy. For those hot summer days there is also cold drinks available at a small cost. 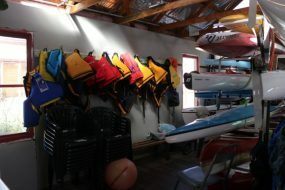 The club has a large BBQ for club members to use while enjoying the sunsets over the lake, after a paddle. 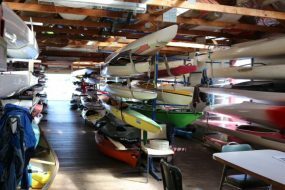 The canoe club has a range of boats for all members to use including K1, TK1, K2, TK2 and canoes. There is also an Ergo for those to use if the don’t wish to kayak on the lake on those cold winter days but still want to exercise. The club has a range of paddles at varying lengths. Your paddle that you select should be appropriate for your height, strength, ability, and craft selected see here for more details. PFD’s are also available to use within the club. 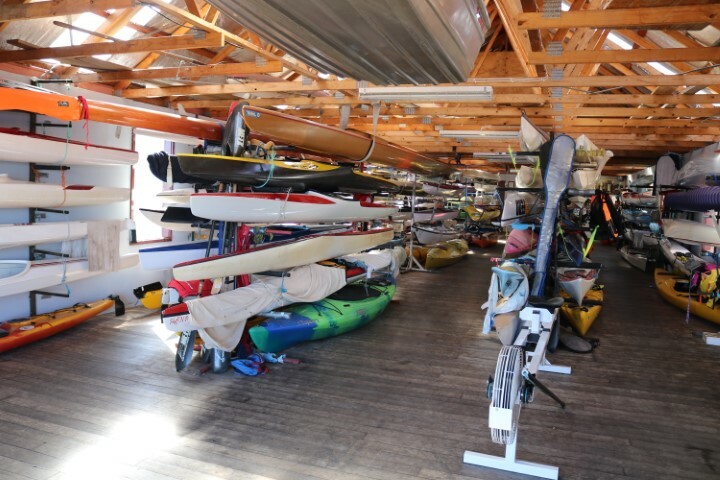 All club equipment should be returned in the condition and location they were found in. 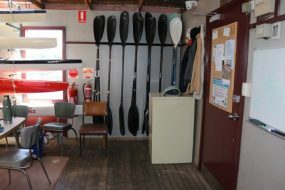 The club has showers located within the club rooms if you would like a hot shower after a cold winter paddle. Toilets are located directly at the entrance of the club.